Raised alone by her father in the ruins of Zalesia, Evelyn left her home in a fit of teenage rebellion. 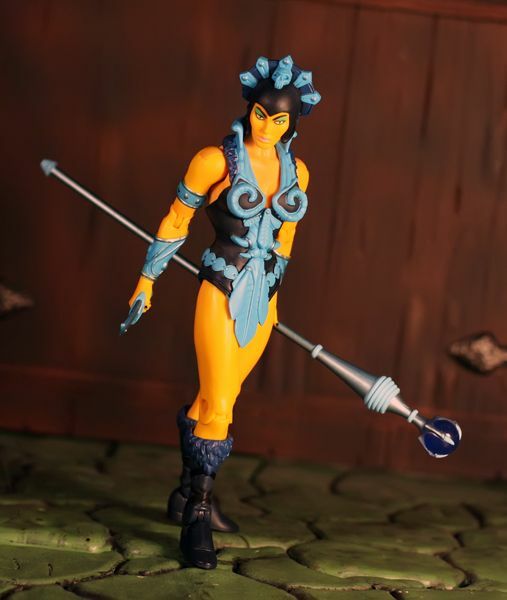 Taking the name Evil-Lyn, she traveled Eternia, learning from many of its great masters the ways of magic and the dark arts. While searching for new ways to increase her power, she met and fell in love with an ambitious alchemist named Keldor and agreed to join his cause. After Keldor was transformed into Skeletor, he lost all emotional attachments to Evelyn and she began to scheme against him. 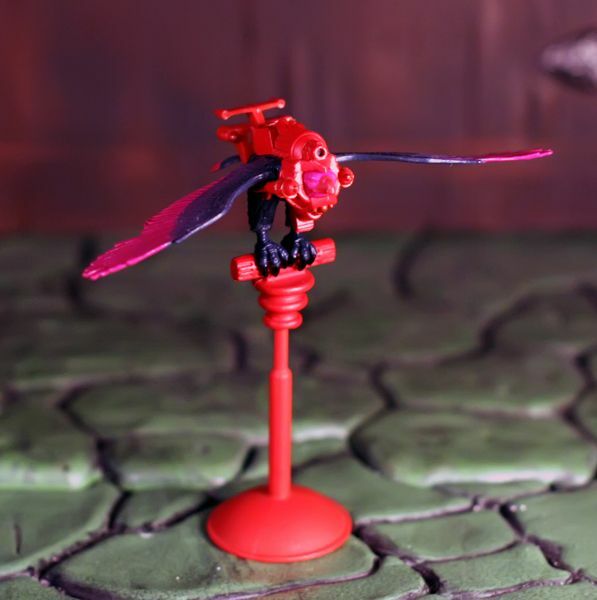 In a series of miscalculations, she helped release both King Hssss and Hordak from their interdimensional prisons. 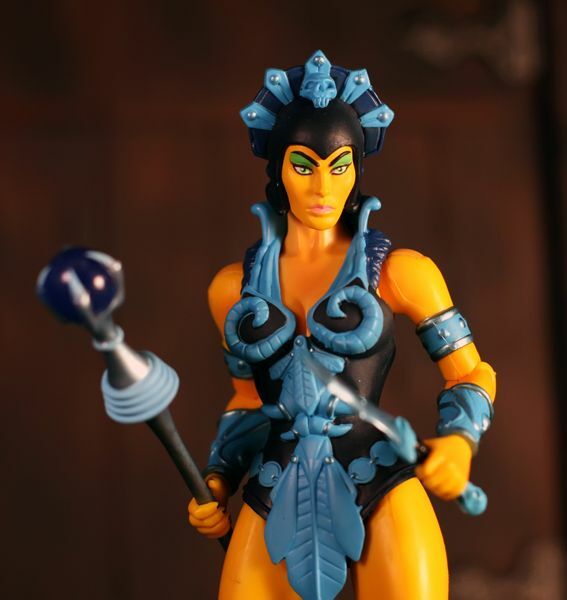 Evil-Lyn uses her crystal ball to foresee the evil future! 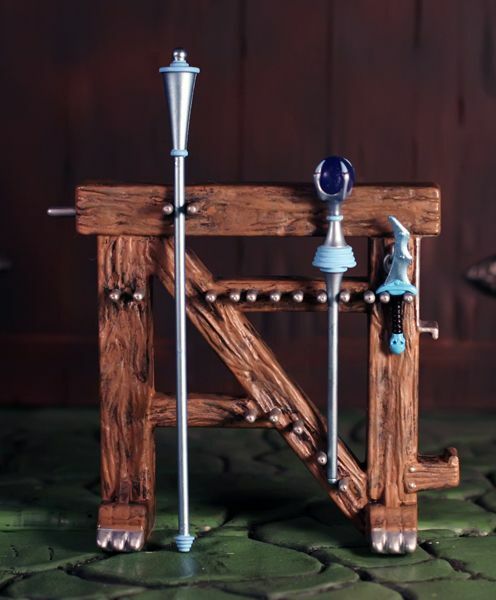 Accessories: Dagger, Magic Staff (with interchangeable short and long handles). 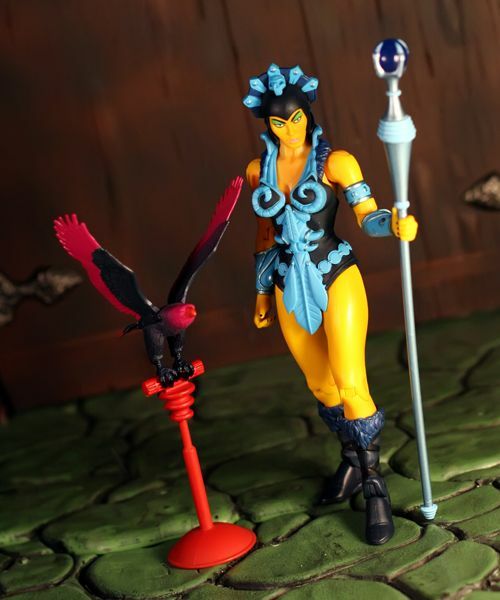 Additional Parts: Evil-Lyn also includes the villainous bird Screeech with stand and removable armor.